The SIG-1 represents the pinnacle of 1x12 performance. Our signature line features only the highest grade materials combined with an oversize ported design. Each cabinet produced in the signature line will be a one of a kind creation, featuring various exotic details such as inlay, carving, exotic materials, premium drivers & hardware. 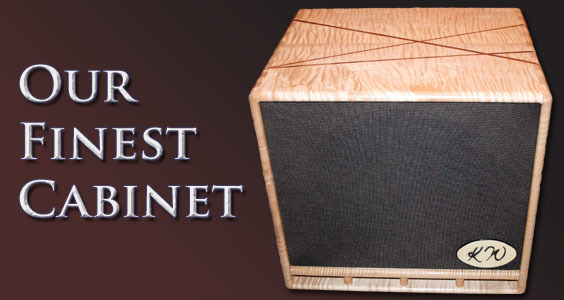 If you're searching for the ultimate 1x12 creation, look no further. Both your audio and visual senses will hold no bounds.